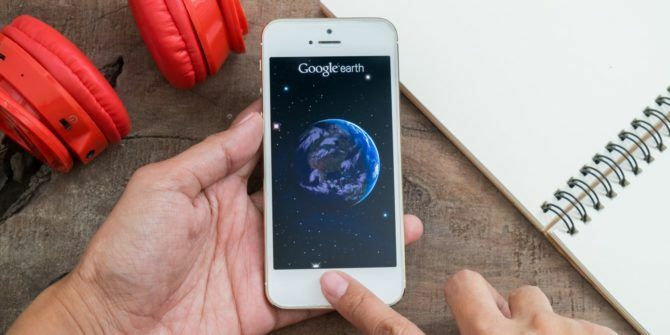 In the first major update for over two years, Google Earth adds a massive number of new features as well as updating the satellite imagery for a significant portion of the globe. The new version adds 3D maps of specific locations, facts about random places, and guided tours. Furthermore, Google Earth is now modern: you no longer need to download and install to experience the world. Google Earth now loads in-browser, with all of its features ready to go. The Google Earth redesign introduces some cool new features. First up is the Knowledge Graph. Knowledge Graph is the technology behind the bitesize bits of information displayed directly in Google search. Meaning that each time you search Google Earth for a specific location, an informative snippet will display with details of the particular place. The next feature is “interactive guided tours,” created by scientists, non-profits, and other “storytellers.” The feature, called Voyager, showcases different aspects of the world around us. For instance, you can tour the Tanzanian Gombe National Park, led by primate expert Jane Goodall. There are several different habitats on offer, as well as interesting partners to assist with content creation, such as the BBC and Sesame Street (for child-specific experiences). The addition of 3D view is excellent. Instead of the flat satellite imagery we are used to, you can now explore almost any location in 3D. That isn’t all. Google Earth is borrowing the “I’m feeling lucky” button from regular search. It works how you would expect: one-click takes you to a random location. Additionally, Google Earth users can now directly share locations with a simple link. Whizzing around the globe on a PC isn’t everyone’s cup of tea. But Google Earth’s massive update is well-worth taking a good look over The Best of Google Earth and Maps: 5 Gems You Should See The Best of Google Earth and Maps: 5 Gems You Should See From timelines that show the earth aging, to chronicling silly and weird things captured by Google's cameras, this is the best of Google Earth and Google Maps. Read More , even if it is just for the new 3D view mode. The update will have great appeal to kids, too. The guided tours and “I’m feeling lucky” button will certainly keep them entertained and intrigued for a while. Have you flown around Google Earth? What is your favorite new feature? Are there any amazing locations our readers should visit? Have you taken a tour? What did you think? Let us know your thoughts below! Going to have likes and no likes. And that's ok. Go for It Google. Seems to be a web-only (and Chrome-only) app. And I closed the tab after several minutes stuck at "Loading in progress, 3.7 billion of 4.5 billion years processed". Back to the good enough version. It says at the website that Chrome is necessary to run this new version. ...as long as you're running Chrome. No love for other browsers! Thumb down, Google.